Yesterday fellow Visual Arts Teacher Glenys Vella and I planned Term 4’s Units of Work for our classes and then paid visits to Resource Rescue in Bayswater and Zart in Box Hill. In the foyer of Zart was this interesting display of materials attractively arranged by their staff. Our students are very fortunate to have access to all these exciting materials. Which ones would you like to use? 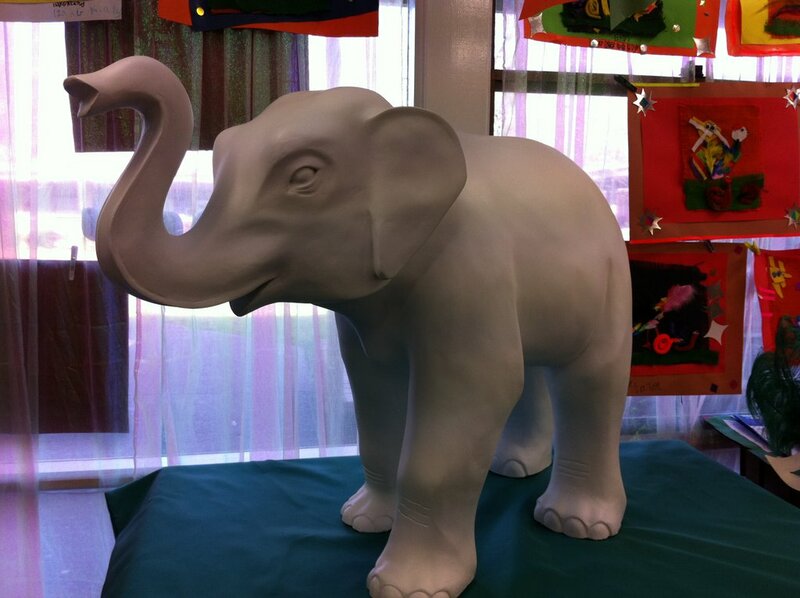 Over the past couple of months our Grade 4 students have been working on the decoration of Mali the fibreglass elephant as part of the Melbourne Zoo’s Mali in My School Project which was launched to help celebrate the Zoo’s 150th Birthday. The theme of looking after all our planet’s animals, in particular our endangered animals here in Victoria, was encouraged in an excellent Resource Folder which accompanied little Mali. 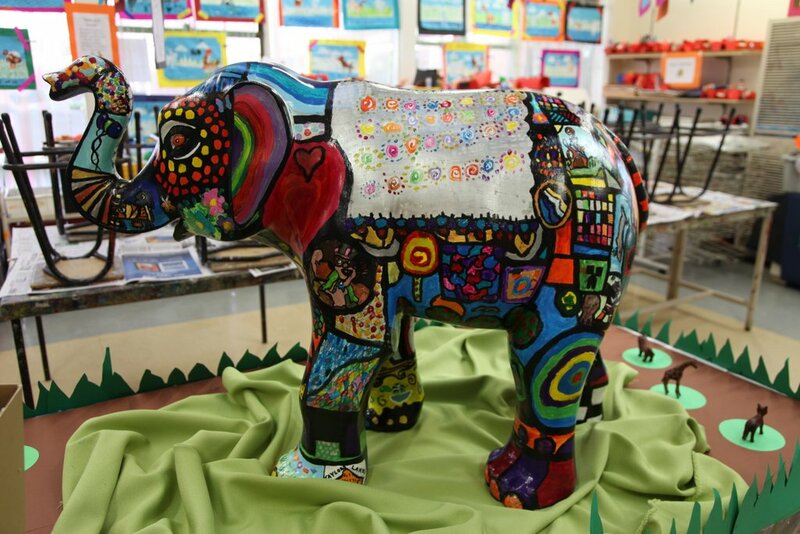 From pristine white fibreglass, our Mali, who is our school’s Art Elements Elephant became one of bright colours, shapes, lines textures and patterns. 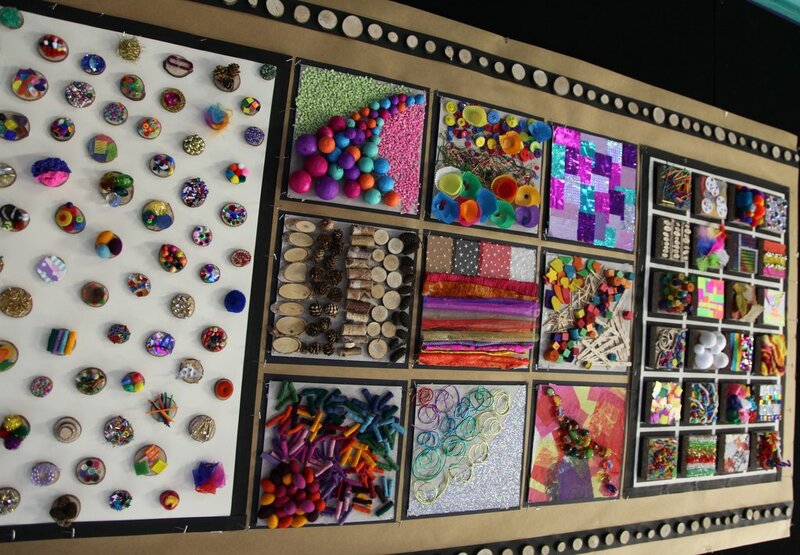 The decoration was the work of students from three Grade 4 classes and a Grade 3/4. How has she made a difference you might ask? One aspect was the level of Team work involved whilst allowing for individual ideas. 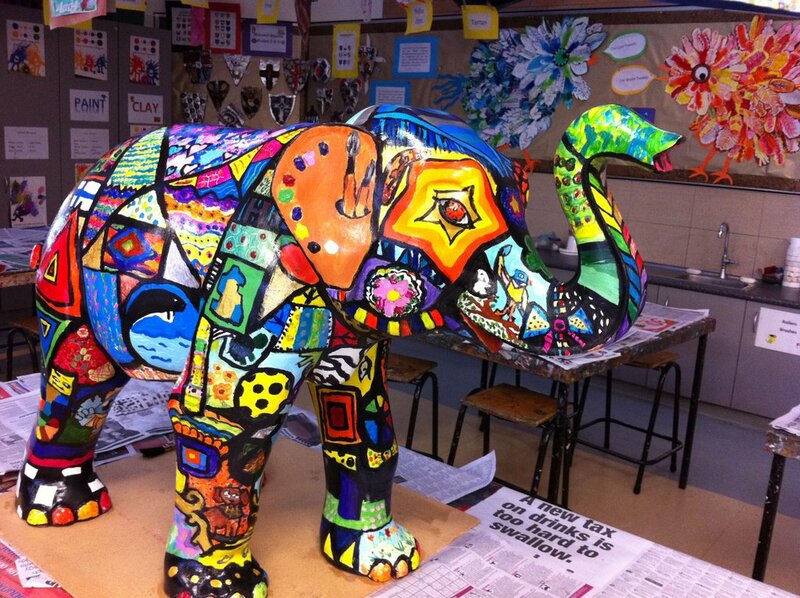 The juggling of other art work around working on Mali as only a maximum of six students could fit around her was a skill we perfected and the seeing through to the end of a long project and presenting her with pride at Assembly were others. Congratulations Grade 4 and 3/4. Your hard work has paid off in a sculpture to be very proud of and in the creation of a group project which will remain in our school for many years to come, helping future students learn too. 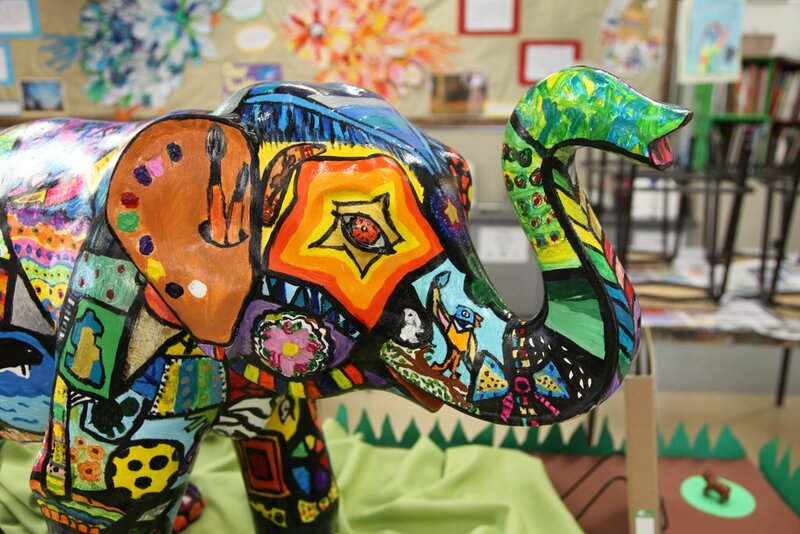 Mali, the Art Element Elephant, emerges at TLPS. 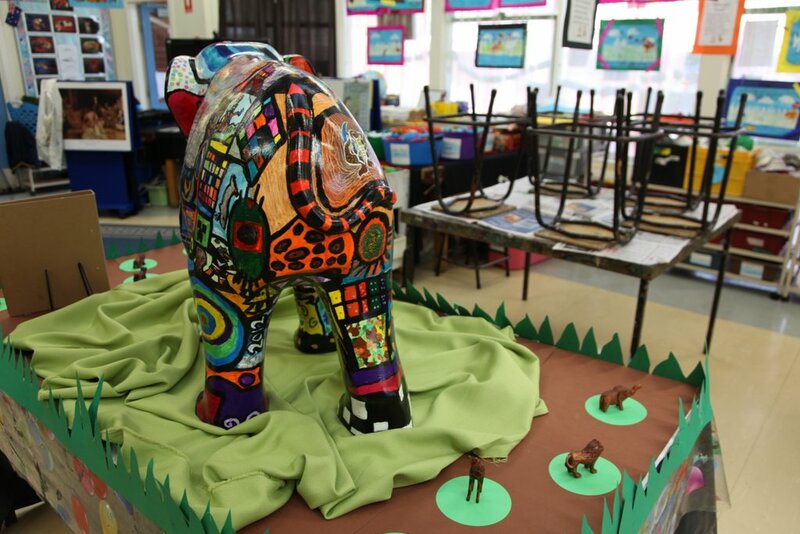 Designed and decorated by our Grade 4CD, 4SK, 4AA and 3/4HL students, plain fibreglass Mali who arrived from Melbourne Zoo will soon return there for display along with 52 others from schools around Victoria and 50 larger elephants decorated by professional artists. 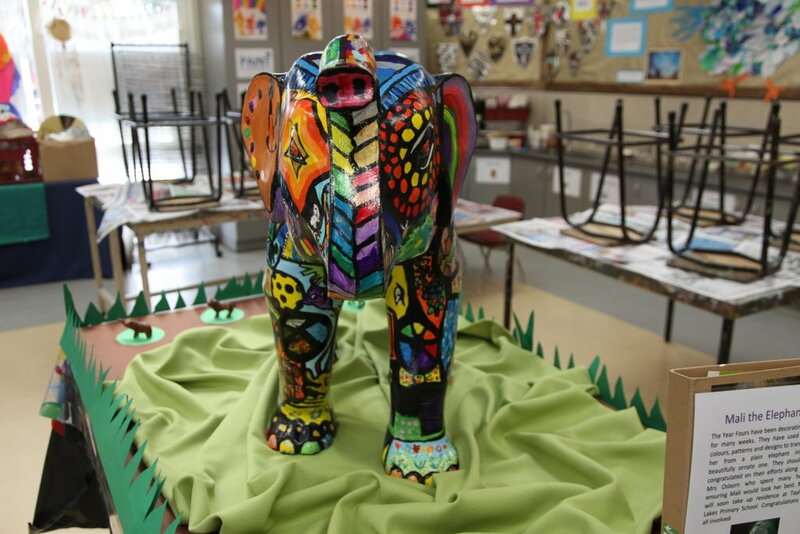 Our students painted her using Global paints in a myriad of colours and she has now been varnished to protect her whilst she is outside at the Zoo. 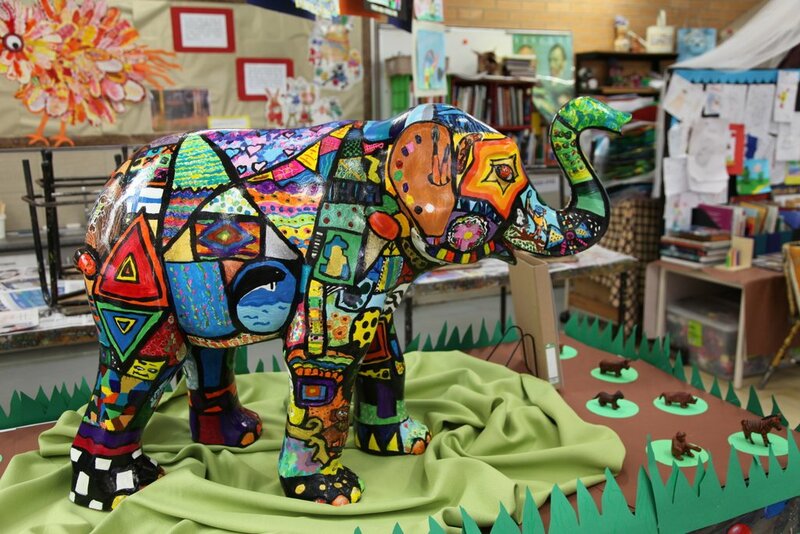 We are looking forward to her return to Taylors Lakes Primary School where she will be used to reinforce the Art elements such as colour, line, shape etc for many years to come. I would like to congratulate our students and welcome your Blog Comments to encourage them as this is their first group artwork to be displayed in a public arena outside our school.